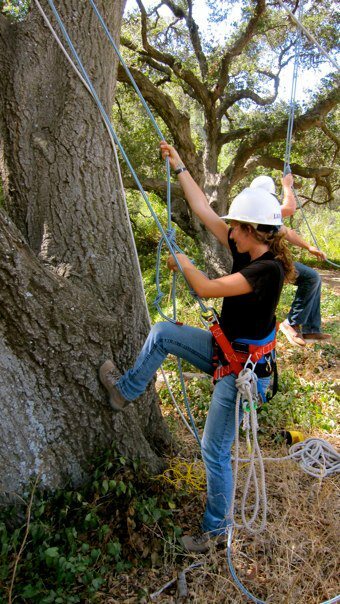 That's me in arboriculture class! So fun! So I’ve decided on pursuing my love for trees (as seen through the eyes of Crysta from Fern Gully). 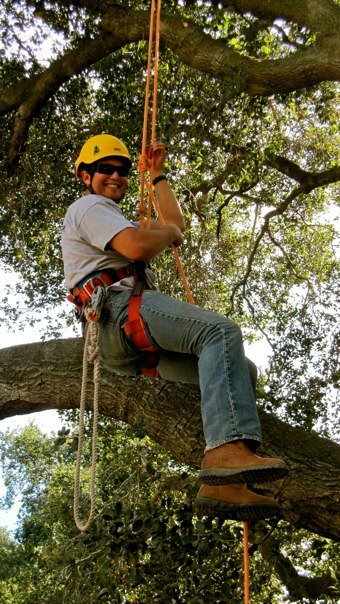 I’ve had the wonderful opportunity of taking an Arboriculture class, taught by Chris Wassenberg (a Cal Poly alumnus and the manager of the Leaning Pine Arboretum and Gardens). It’s basically the most amazing thing ever known to man except maybe sliced bread or—oh, let’s say coffee–cuz who can live without it! 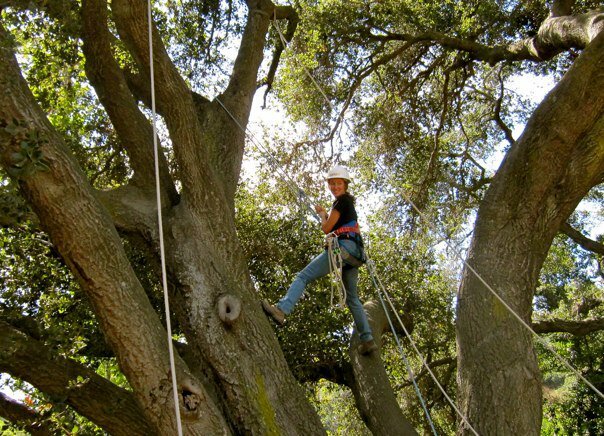 But really…I get to spend six hours a week learning about trees, and some of the time IN THEM! Yeah, that’s right–suspended 30 feet up in the air on knots that I tied. Trusting my rope, knots and the harness! At first we focused on all the gear and then we got to climb. Yup, that’s a picture of me in a tree! Embracing my inner-child - love it! 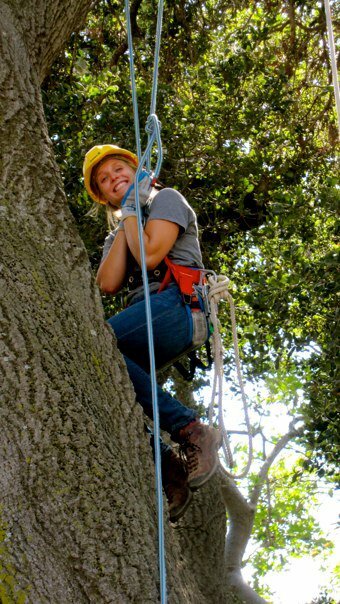 My classmate Lizzy is all smiles during Arboriculture class! Chris brought in a couple of the industry’s representatives to join one of our labs and talk a little about their company’s goals and other fun stuff. A great way to network! Arboriculture and beekeeping, two of the best classes in the Horticulture and Crop Science department. Til next time! 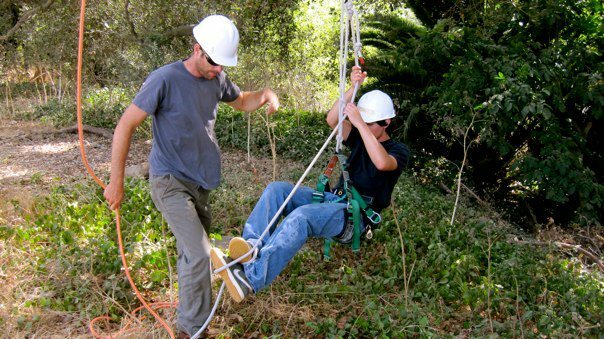 Professor Chris Wassenberg helping my classmate Chris set up to climb during Arboriculture lab.